I’m not from BC, but I respect and will stand behind your decision not to allow this toxic, deadly project to cross your unceded lands. Your people, along with a little assistance from like-minded settlers, will be the only force that stops this foolish rush to destruction of the only planet we’ve got. Thank you for standing against this. I support you 1000%.My heart goes out to you and I will keep you in my prayers. Yours is an honourable fight. God bless you. You are not alone in this fight. 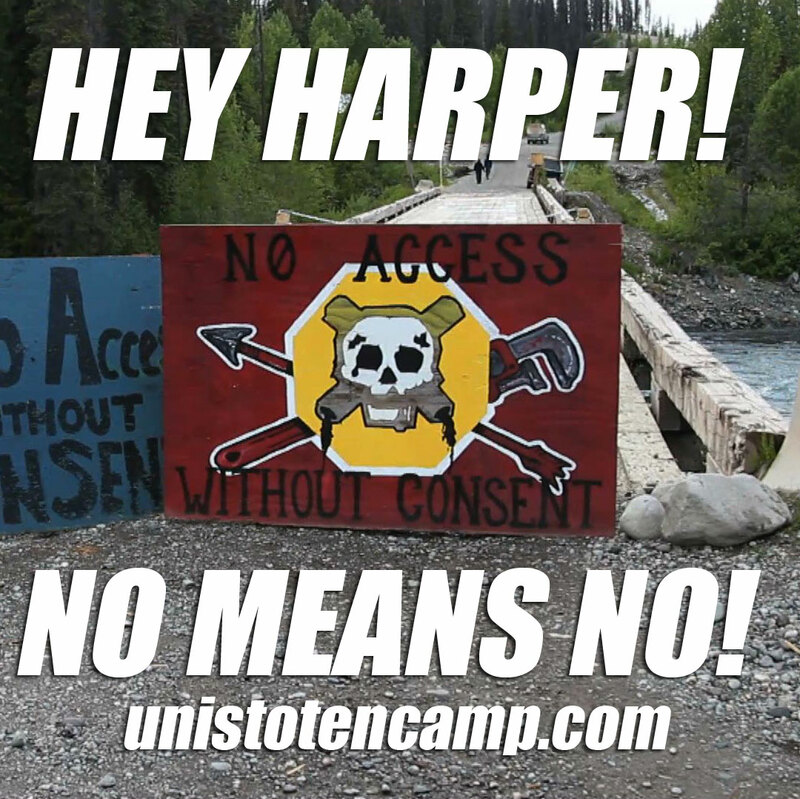 The movement to stop the tar sands is growing every day. We are committed. We are strong. And we will fight to our last breath. Bless you all. I stand with you! We in the U.S. Have the pipleline project here that we must fight like KXL and Sandpiper. We are as committed and we are with you. Once we win these we will join you in force. Harper, TransCanada, Enbridge, Koch brothers, etc., we will fight you!